A new gameplay trailer for the upcoming and highly anticipated Rise of the Tomb Raider was recently released, entitled “Descent Into Legend”. Exclusively revealed by Entertainment Weekly, the new trailer showed main heroine Lara Croft on her adventure in the gamefrom going through snowstorms to travelling on high mountain ranges, to entering ancient ruins and long-forgotten catacombs, unlocking mysteries and knowledge buried in deep secrets, all the while wielding various forms of survival weapons, such as a bow and arrow. The new trailer also showed a sneak peek at the environmental puzzles that players must have Lara Croft solve in order to progress and unlock whatever there is on the other side. In other news, the #128 September 2015 issue of the official Xbox Magazine has an article that talks about the upcoming game Rise of The Tomb Raider, and the article casually mentions that multiplayer was “cut” from the game. The previous multiplayer modes for the 2013 game Tomb Raider mostly had players kill off everyone in the map, or travelling to a certain finish point, or carrying items with them as they progress through the map. 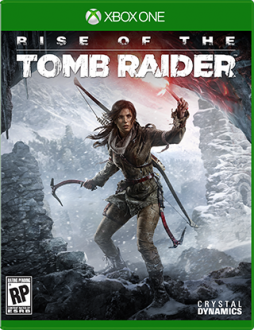 Rise of The Tomb Raider arrives November 10, exclusively for the Xbox One and the Xbox 360 consoles. Next articleHTC One A9 'Aero' release date: has 'Aero' been replaced by 'updated' One M9 ?